The Nissan Juke Nismo RS is a pretty sick little crossover right from the factory. 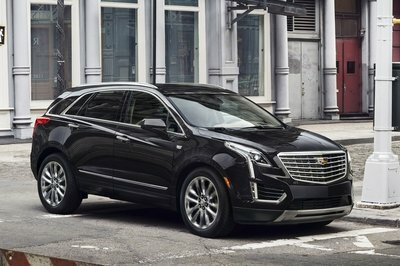 Its 1.6-liter turbocharged four-cylinder makes a respectable 211 horsepower when mated to the optional AWD system, propelling the five-seater to 60 in just 6.8 seconds. Its lowered ride height and sticky tires help it take corners at impressive speeds. All that changes though when the white stuff starts falling. Enter: The Juke Nismo RSnow. This bad boy is a one-off build by Nissan that serves a larger purpose than just looking awesome. 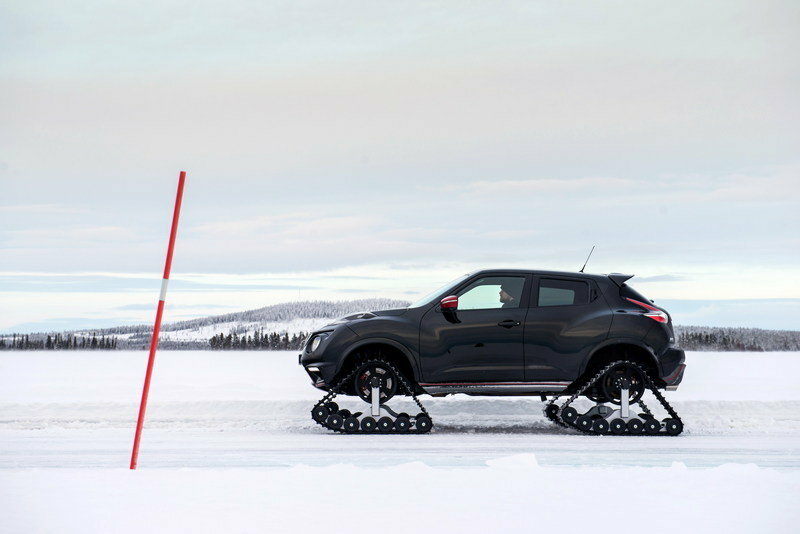 The RSnow is actually a support vehicle for an ice-driving event taking place in Lapland, Finland. Obviously this Juke’s running gear is not stock. 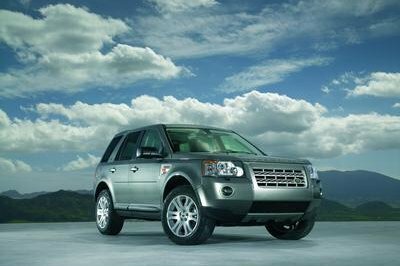 In place of the 18-inch wheels is the Dominator Track System built by American Track Truck. Like other aftermarket track systems we’ve seen, this is a direct bolt-on kit that utilizes the vehicle’s original suspension bits. Slide the car in gear, and the main drive wheel turns the rubber treads along the internal structural system just like a tank or bulldozer. Seven miniature axles run a total of 28 wheels to keep the treads rolling. The result is a nearly unstoppable machine that can tackle anything from deep mud and loose sand to massive snowdrifts piled on a frozen lake. 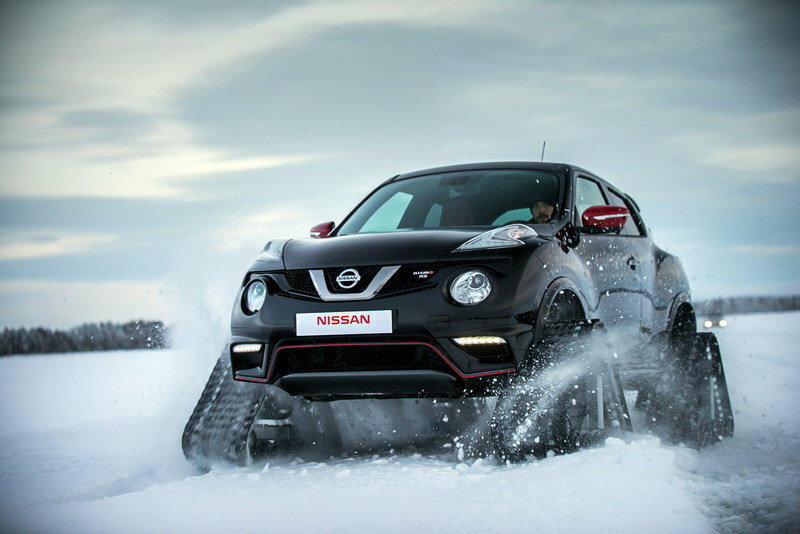 Click past the jump to read more about the Nissan Juke Nismo RSnow. The Juke Nismo RSnow is basically a sock unit with only a handful on minor modifications. On the outside, the only difference is a few trimmed body panels that accommodate the treads. Notice the trimmed lower front fascia, rocker panel, and rear bumper. Even still, those cuts would likely go unnoticed by the casual observer if the Juke were running its stock wheels. Things inside are likely unchanged. 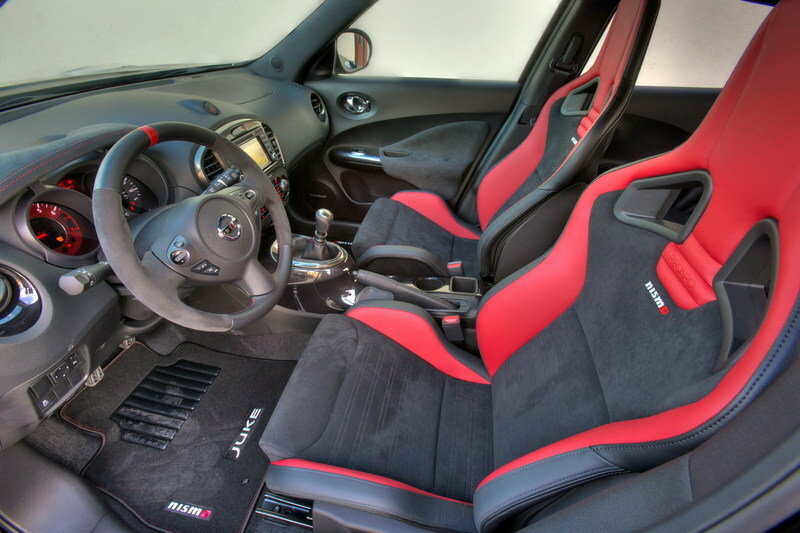 Nissan probably threw in a set of all-weather floor mats, but besides that, bet on a factory-fresh interior. 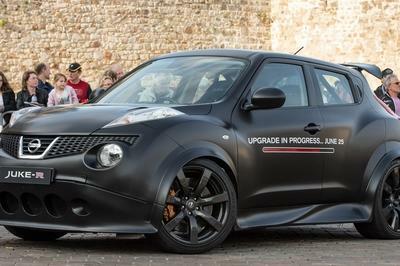 That’s not a bad thing, however, as the Juke Nismo RS offers plenty of racy bits. Black and red seats feature large side bolsters for gripping backsides, the leather-covered steering wheel gets a red on-center marker, and the trim is finished in Alcantara. The unmodified theme continues under the hood. 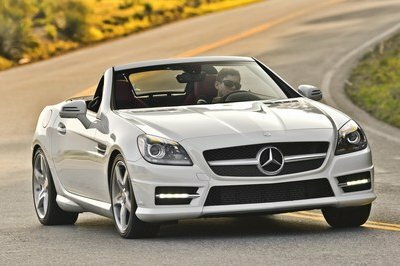 The turbocharged, 1.6-liter four-cylinder makes use of dual overhead cams and sequential direct fuel injection. When optioned with the AWD system, the engine comes mated to Nissan’s Xtronic CVT and produces 211 horsepower at 6,000 rpm and 184 pound-feet of torque at 2,400 through 6,000 rpm. 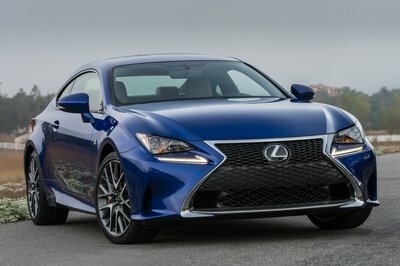 That’s down four horsepower and 26 pound-feet over the same engine mated to the six-speed manual transmission and FWD. 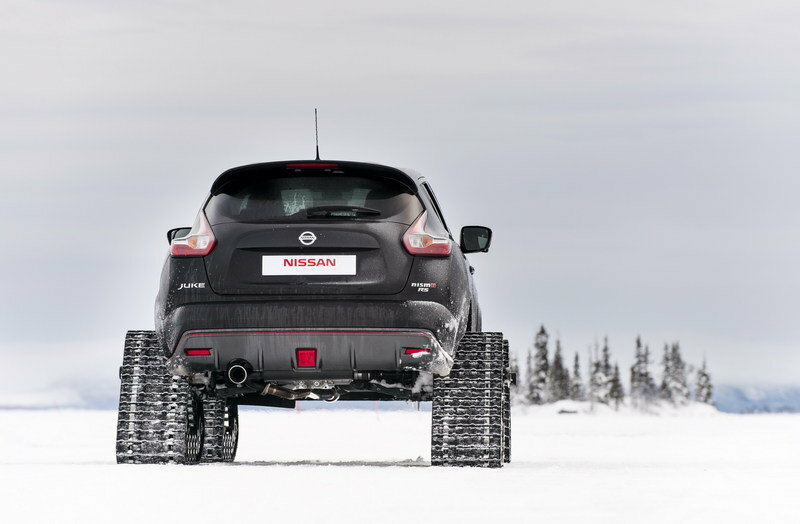 Engineers did reprogram the torque-vectoring AWD system – and though Nissan hasn’t specified details – it was likely to institute a 50/50 torque split to both front and rear axles. Moving those tracks around likely requires a bit more grunt than the AWD system is used it. 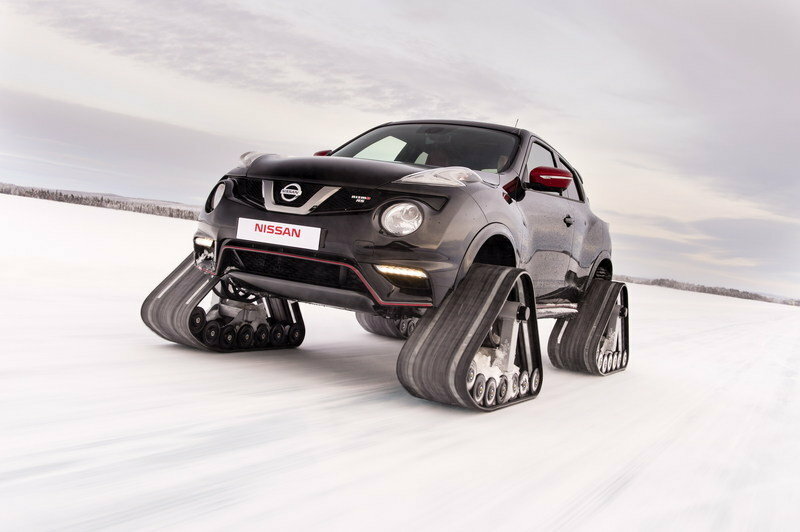 Nissan has said the RSnow’s top speed is limited to roughly 62 mph thanks to the tracks. Expect that 0-to-60 mph time to suffer a bit as well. Obviously Nissan isn’t currently selling these at your local dealer, but you could technically build your own. 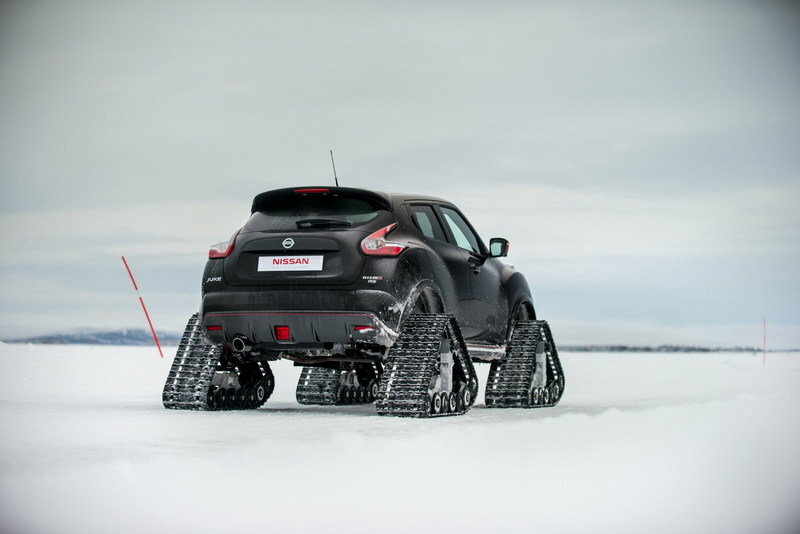 You’d need the Nissan Juke Nismo RS with AWD ($28,120) and the Dominator Track System, which retails for around $15,000. All told, expect to spend just over $43,000. The fact Nissan is not scared to put a track system under its hottest hot hatch crossover is pure insanity. We love that spirit and we’d love to see more automakers do it. The RSnow will surely make a great support vehicle for that ice-racing event. Now we just want to see it compete.